Writers are generally solitary animals. It's by necessity. You can't write a book and carry on a conversation at the same time, at least I can't. As far as I'm concerned, I can't even have people in my house carrying on audible conversations when I'm writing. Things have to be calm and I need to know I won't be interrupted by tears, demands for food or people wandering into my office and attempting to climb into my lap. The ironic thing is that to be a good writer you need to interact with people. You really do. You need to understand the ebb and flow of conversation in order to write believable dialogue. To make the plot work it's essential to have some kind of understanding of the human condition, what makes people tick. All this knowledge requires social time, which isn't always easy to come by if you work at home surrounded by solitude. What's my point? I promise I have one. It's my publisher! Fantasy Island Book Publishing ("FIBP") is a small, indie publisher. Since today is Independance Day and my publisher is an independent I think it makes perfect sense to celebrate the two of them together. FIBP is putting out twenty-five books this year. Losing Beauty is lucky enough to be included in that group but that's not the only reason I love my publisher. The real reason is because of the writer's collective. Every single one of the twenty-five authors is part of a private group on Facebook. 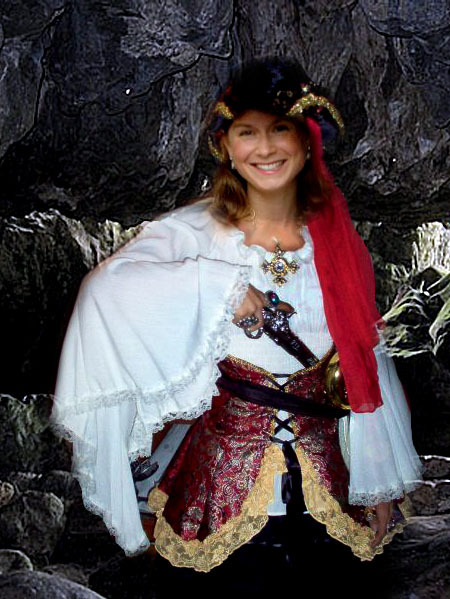 We go there for advice, to commiserate about politics, music, give opinions on each other's book trailers and engage in random silliness like raiding each other's profile pictures and photoshopping them into pirate clothes. I don't know how other publishers work. My guess is the kind of after-hours camaraderie found at FIBP is something special and unique. And if it isn't that's even better. I think every writer should have the chance to enjoy hanging out with the kind of amazing talent I've been privileged to get to know this year. I care about these writers and I want to see them succeed just as much as I want my own book to find popular success. Some days it feels like we are all standing at the edge of a precipice that is the new era of publishing. Except, instead of just one or two of us, there are twenty-five. Our new website is almost ready. As soon as we get the thumbs up to move in we'll be spending our "after hours" time on the threads at http://www.fantasyislandbookpublishing.com/. Stop by and say hello But if you wind up dressed in pirate clothes, don't say I didn't warn you! To Author Doug Sanburn all I can say is Ahoy Matey! Oh, I can see the beautiful relationship you have with your publisher! That's so wonderful! Mine is fairly small and its authors are very supportive and giving of each other. I love the brotherhood as well. Hooray for small publishers! Thanks so much Elizabeth! It is fun, isn't it! What you have at FIBP is indeed special, Johanna. I am so glad to see you guys succeeding. The irony you point to about writing is incredibly true--I never thought about it that way, but you said it just right. For years I was writing alone in what seemed to be a very dark room, and then I met all the fabulous people at FIBP, and it was like someone turned on a light!